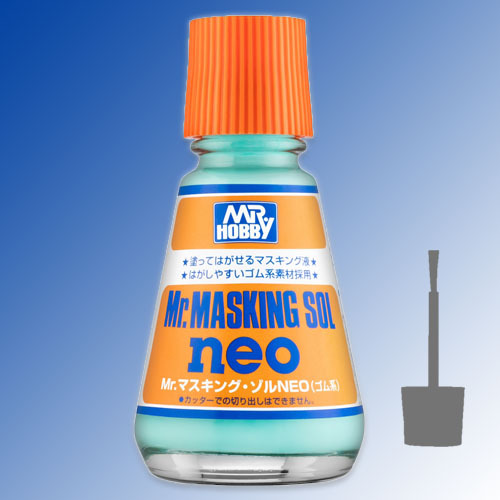 Mr Masking Sol Neo - is a gentle liquid mask that comes off easily after painting and doesn't leave any residue. Ideal for masking multicolour camouflage patterns. Apply a thin layer with a brush. You can use a tissue soaked in Mr Masking Sol Neo to mask off engine intakes and other similar difficult areas.